Caldwell Eastern Standard Sungrown Double Robusto – tasting notes. Paul 83 – Medium brown oily wrapper with a medium amount of veins, very light tobacco aroma on the wrapper, richer tobacco aroma on the foot, pigtail cap, many soft spots, several prominent stems at the cut head, good draw. First 1/3: grass with some short lived black pepper, medium amount of smoke, scalloped burn, very flaky ash falls at ½”, some sweetness, medium strength, body and finish. Second 1/3: grass flavor gets milder, not unpleasant but this is a one trick pony, the ash begins to flower, burn line begins to canoe. Last 1/3: No changes. Little of interest here. 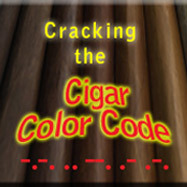 Rob 84 – Dull brown wrapper around an average weighted, not too firmly packed cigar. There is a tiny pigtail cap on the top of the cigar with an open foot. A pleasant nutty aroma is coming off the foot, almost a bit sweet. There are firm not tight, albeit, not invisible seams. Light up: I sliced off just the pig tail cap and found a slightly loose draw. This matches the slightly soft tobacco pack. Initial light up yields a toasted wood flavor. Smoke output is reasonable, and has a nice smooth smoke mouth feel. Lets let her heat up… One in inch is still providing a smooth smoke. I am getting a bit of a wavy burn line, but not yet requiring a touch up. At the half way point I can’t really put my finger on the flavor profile, again the toasted wood is mixing a bit with an earthiness. I am starting to feel some nicotine with this cigar, and am slowing down on the burn. Smoke output is increasing as I get closer to the end. Nicotine has calmed down, and almost gone. Unfortunately, the flavor profile has stayed stagnant the entire stick, without any interesting nuances or changes. A bit disappointing. Jim 84 – Medium brown in color, this cigar has one of the smallest pigtails I have ever seen on a cigar. Dare I say its cute?? LOL! 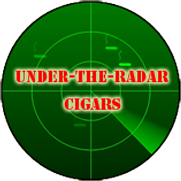 I need to disclose that I had an accidental shift I my humidor and it shot up to 74% (I normally keep it around 68%). SO it may effect my review in comparison to the others. I have a little trouble getting this cigar lit (odd) but I am getting an easy draw and slight leathery flavors initially. As it heats up I am definitely getting some floral flavors combined with light-medium strength. There is also a buttery pretzel sweetness to the finish. The cigar stayed consistent for a long time after the halfway point there was a flavor shift in the finish. The sweetness dropped off and now I am getting a more earthy and vegetal finish. It kind of went downhill from there. In the last third, it tastes like I am chomping on a lead pencil. First half was way better and back half was disappointing. Artie 95 – Somewhere between maduro and colorado, this mottled toro has a rich barnyard aroma. The cap is a bit sloppy, but it cuts well with a guillotine. No stems are visible; just juicy looking tobacco leaf. With an ample draw, this cigar starts off with notes of hickory and toasted baguette. The burn is even, but ash falls off easily. Once it gets going, a black pepper and cardamom kick give this stick some life. Roasted walnuts are also present. Mid way the spice gives way to a smooth milk chocolate and caramel finish. I’m liking this more and more as the cigar progresses. It has gotten suddenly very creamy. At the nub the spice returns but the smoothness remains. This cigar gets extra points for a terrific flavor evolution. This isn’t a strong cigar, but it delivers a ton of complex flavors. A truly delicious smoking experience. Will 86 – Robusto, mottled milk chocolate covered wrapper, tight seems and well packed and hefty in the hand. Cold nose is red pepper and allspice, 2 sneezer is a good sign. The cold draw is red pepper with a faint sweetness, like sorghum syrup. The cigar takes a few minutes to light and the initial flavor is pencil shavings with a roasted hazelnut finish, quite pleasant. 10 minutes in and I’m getting a salty leather finish and the sweetness is gone which is disappointing. At the 25 minute mark I am getting a roasted gaminess like elk and the salty leather finish continues. The flavors don’t change and after almost an hour I get bored and let it go.